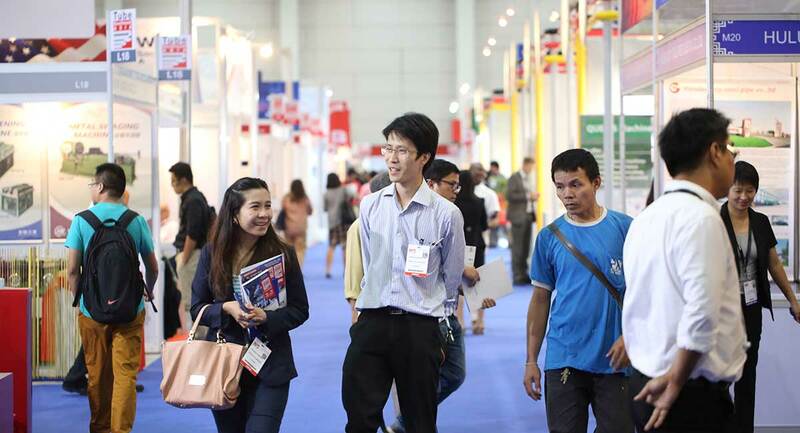 6 February 2017 – Tube Southeast Asia 2017 returns to the Bangkok Trade & Exhibition Centre (BITEC), Bangkok, Thailand from 19 – 21 September with its 11th edition. The biennially-held specialist trade fair, staged alongside wire Southeast Asia 2017, comes amidst heighten prospects expected for the tube and pipe industries. According to recent report by Global Industry Analysts, Inc., the global market for pipes and pipe/host fittings is projected to reach US$320 billion by 2020, driven by the growing focus on infrastructure development in developing countries. Asia-Pacific, in particular, is set to register a 6.3% CAGR as the largest and fastest growing market in the world. Pipes and tubes form the structural foundation of water, fuel and gas distribution infrastructure, and are therefore influenced by the economic dynamics experienced in construction, agricultural spending, highway spending, natural gas exploration, and consumer goods manufacture. Such as, in light of expanding oil & natural gas exploration, drilling and production activities, demand for high-end seamless pipes is forecast to grow strongly due to the surge in unconventional drilling procedures. Likewise, the robust growth of Asia’s energy and petrochemical markets will call for greater demand of steel pipes and tubes, since distribution of oil and natural gas requires steel pipelines. OCTG (oil country tubular goods) and line pipes are thus expected to witness strong growth. Technological advancements and manufacturing processes have also boosted the popularity and acceptance of multilayer plastic pipes (MP) especially in the installation of marine and mining pipelines. In addition, the adoption of trenchless installation of pipelines will offer productive opportunities for large diameter plastic pipes. Reflecting the established credentials of the world’s leading trade fair, Tube – the International Tube Fair, and supported by the International Tube Association, Tube Southeast Asia 2017 will present technology highlights for the tube, pipe and related industries. The dynamic line-up at Tube Southeast Asia 2017 will feature an all-encompassing range of innovative machinery in tube and pipe manufacturing and processing, ferrous and non-ferrous tubes, new processes in measuring, control and test engineering and specialist areas, as well as new and upgraded tools and auxiliary materials.